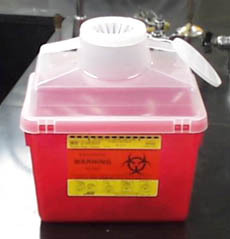 The following containers are available for use in disposing of infectious waste at the University of Delaware. 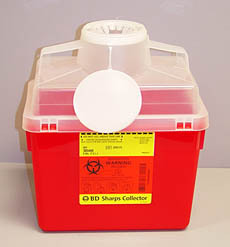 Please contact DEHS at x8475 to request a sharps container. For information on the disposal of infectious waste please see Infectious Waste Disposal Guidelines. 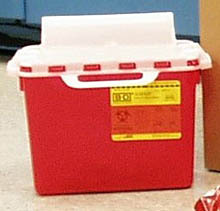 Questions regarding infectious waste issues may be addressed to EHS or call 831-8475.